I’ve used this week’s FFfAW photo prompt (which happens to be one of mine) for the ongoing serial. It might not stand alone, so you’ve been warned. Please note that I’m visiting family and won’t have as much time as usual to read everyone’s stories and to reply to comments. I’ll try, though. The hermit stares into the distance. I’m annoyed, but for some reason I follow his eyes and catch a flash of purple. The longer I look, the more colour I see. He startles, as if he’s forgotten I’m here. Until a few seconds ago, I’d have sworn I’ve never seen an aquarium in my life. I touch the glass tank. 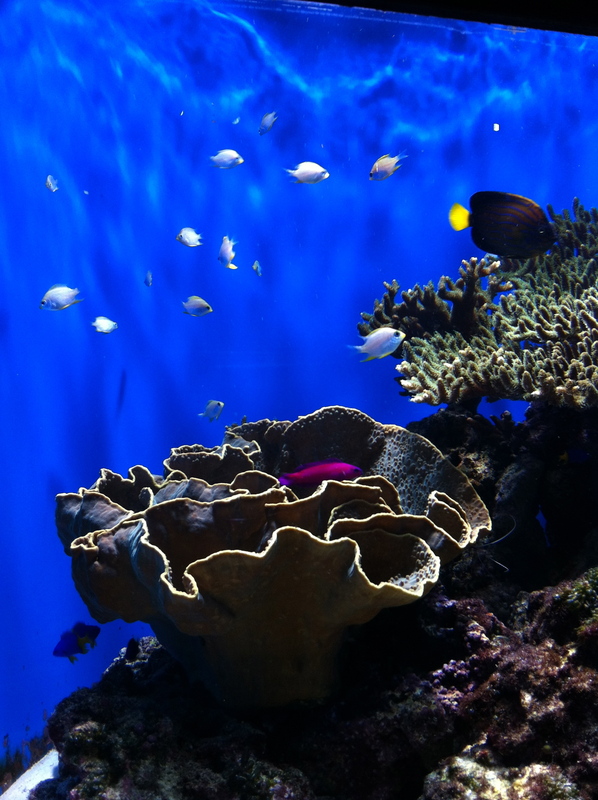 The fish hide behind the coral. I’m not supposed to bang on the glass or Daddy will have to tell me off. When I read this I felt as though I was right there. I could feel the pauses and hear the words spoken, “Are you my father?” It’s amazing how much power the pauses give to dialogue. This is excellent Sonya. Also, thank you so much for sharing your photos for this challenge. You definitely bring something back to the challenge! You write wonderful stories! Great story and interesting thought pattern the little child goes through. Ooh – is he? Great continuation and I can’t wait for more! I’ve just read previous episodes, which i seem to have missed. Now I’m up to date and can say that this is a great, ongoing story. I now see the significance of the question at the end today, and look forward to finding out what the answer is.